CBS Corporation is a major media conglomerate founded by William S. Paley in 1928. While the company originated in radio broadcasting, television broadcasting soon became CBS’s area of success. Historically, programs such as “I Love Lucy”, “Gunsmoke“, and “All in the Family” catapulted CBS into profitable success . In 1995, Westinghouse Broadcast bought CBS and sold it again in 2000. Viacom and CBS Corporation were considered a unit since 1970, but in 2006, the company split into two and CBS Corporation became what it is today . CBS Corporation is a publicly traded company in NYSE exchange. The current value of share is $58.89. This past year, the stock price has steadily increased. Starting the year at a much smaller exchange rate ($37.98), each quarter has produced more profit than the previous . This past quarter, the company has earned $3.6 Billion, which is an increase of 3% from last quarter . CBS Corporation is responsible for many different stations, including, but not limited to, CBS Television, CBS News, The CW, Showtime, and The Smithsonian Channel. CBS is consistently the number one station on broadcast television in total viewers. However, does not lead in viewers in the ideal 18-49 demographic . CBS Television is definitely geared to a much older demographic. In recent years, with the introduction of programs such as “2 Broke Girls” and “Hawaii Five-0“, the network has been trying to breach this gap. However, their popular programs are also watched by the desired 18-49 demographic, contrary to popular belief  . “The Big Bang Theory” is CBS Corporation’s number one comedy, consistently bringing in viewers every week . The show premiered in September 2007. Syndication rights were bought by TBS and is currently the number one syndicated program, both off-network and first-run syndication . Each episode costs TBS around $2 Million to air . Before the show aired this September, three of the lead actors (Cuoco, Galecki, & Parsons) were bargaining for higher salaries, as they currently make $350,000 an episode. The negotiations have not begun yet, however . Finally, the show appeals to many advertisors, as it is popular both within and outside of the 18-49 money demographic. Each 30 second spot costs aprox. $326,260, the second highest rate for primetime television, behind NFL Primetime Games . The popular series “How I Met Your Mother” will conclude this year in its ninth season. Syndication of the popular show began in 2008 with Lifetime Network. FX picked up syndication rights as well in 2011. The non-exclusive deal allows both networks to air the program. To air an episode, it costs $725,000 . With the show concluding in May, CBS has just announced a spin-off called “How I Met Your Dad”, which will focus on the feminine version of the “How I Met Your Mother” story . CBS introduced six new shows this season, including the new primetime hit The Crazy Ones, starring Robin Williams, and The Millers, starring Will Arnett. Other series, such as Hostages starring Toni Collette, and Mom, starring Anna Faris, have not pulled in high ratings. All of the new CBS shows, unfortunately, have been dropping audience numbers week-to-week . 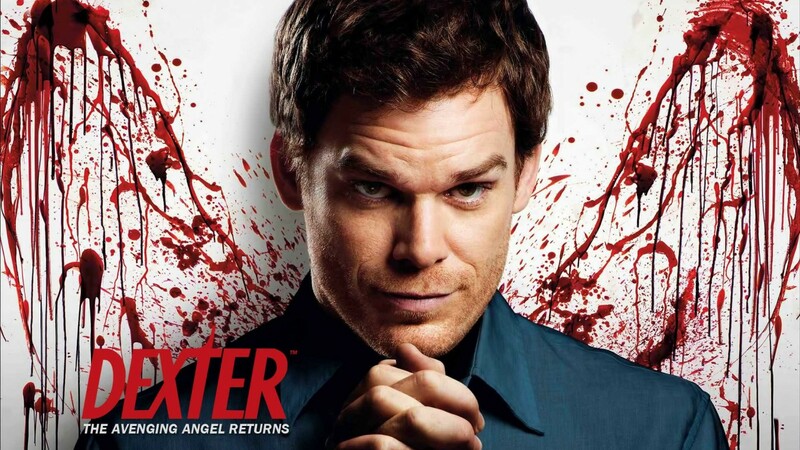 CBS Corporation recently worked out a deal with Netflix to air the first four seasons of the hit show “Dexter“, in order to entice people to buy subscriptions to their network Showtime. The four seasons will be available until January 1, 2014, when they will be replaced by the next four season . Another news program is in the early stages of production, as Charlie Rose and Gayle King may sign on to revamp the failing program “The Early Show.” During a block of daytime talk shows, CBS is interested in pursuing a hard-hitting news show to counter program. An announcement is expected anytime for the future of the two-hour program . The CW Network has had a great season for CBS Corp., as the three new shows this season (“Reign“, “The Originals“, “The Tomorrow People“) were all picked up to finish their seasons in May. Nielsen says that ratings for the CW are up 9% from last year, averaging around 2 Million viewers. While the network’s target audience is a younger demographic, the 18-49 Demo is up 11% this year for the CW . This past week, CBS became the first network of the season to sweep four straight nights of viewers in the 18-49 demo, as well as total viewers, from Tuesday to Friday . Dominick, Joseph R., Fritz Messere, Barry L. Sherman, and Joseph R. Dominick.Broadcasting, Cable, the Internet, and Beyond: An Introduction to Modern Electronic Media. New York: McGraw-Hill, 2012. Print. Previously the head of Business Development at NBCUniversal, Brandon Burgess has guided ION Media Networks through a complete reversal—financially and operationally—since its re-branding in 2006. 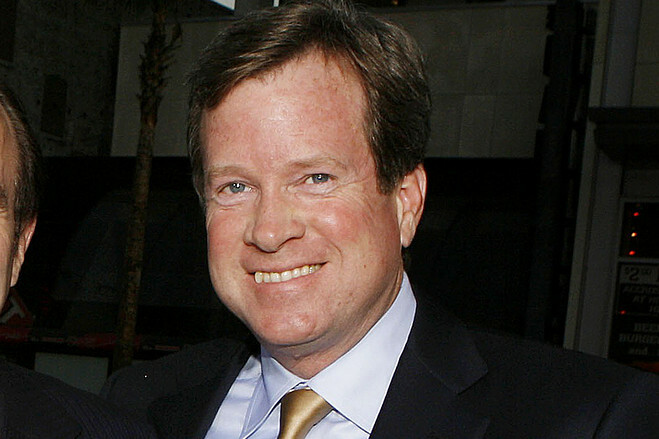 Under his leadership, ION Media Networks has expanded drastically, which is no easy feat for any independent television network company in the US. Also during his tenure, ION Television has seen unprecedented growth, and he has played a significant role in launching Qubo and ION Life . Chris Addeo is the head of multiple areas of marketing, including Consumer, Sales, Distribution and Corporate Marketing. She is also responsible for developing ION Media Network’s strategic brand . Douglas Holloway maintains cable, satellite and telephone company partner relationships for each of ION Media Networks’ brands. He also oversees a distribution team in several areas across the US . As the director of the office of Finance, Jeff Quinn sets the financial policy and direction of ION Media Networks. He is credited with establishing ION’s Financial Planning & Analysis Group and also oversees business planning, development, and budgeting . In February 2006, the company formerly know as Paxson Communications—founded in 1984—announced a change to its current name, ION Media Networks. The rebranding of Paxson Communications was done in an effort to create a fresh corporate identity which would reflect its commitment to providing consumers with high-quality media content by distribution to its network of television stations nationwide . Today, ION Media Networks upholds that same commitment. In 2008, ION Media Network’s primary television network was also re-branded, and has since gone by the name of ION Television. After the network’s re-branding, its reach expanded to about 260 million Americans in 100 million households. Its viewership doubled as well, and it reached the top 15 cable ratings in the United States in only 3 years, an extraordinary feat in American television history . ION Media Networks is a privately owned, independent TV company, officially formed in 2006. The company’s main goal is to lead innovation in television content and technology, as well as provide a wide variety of entertainment to consumers. With the help of its three main branches—ION Television, Qubo, and ION Life—it serves well over 100 million homes in the United States . In addition, ION Media Networks is a partial owner of Dyle, a mobile content service which was created through a joint venture involving a few other television companies . ION Media Networks’ flagship television network, ION Television, is a leading entertainment network in the US. In fact, it stands within the top 15 networks among adults 25-54. ION Television relies on a combination of high-quality syndicated programming such as Criminal Minds, Without a Trace, Cold Case, House, and Leverage, as well as original programming such as Flashpoint and WWE Main Event. In addition, it carries many popular movies of a wide variety of different genres . Qubo is a television network for 5 to 8 year olds. With a combination of original programming and outside partnerships with organizations such as the US Olympic Committee and Reading is Fundamental, Qubo promotes literacy and a healthy lifestyle for kids. Qubo refuses to air national ads which feature unhealthy food and beverage choices in an attempt to reduce obesity rates in children. This network is available 24/7 on Cable, Satellite, AT&T UVerse and Verison FiOs, and it also airs programming blocks on NBC, ION Television, and Telemundo . ION Life is a digital sub-channel of ION Television, dedicated to healthy living. It carries a vast array of entertaining shows aimed at inspiring people to live healthy, active, and overall better lives . ION Life provides programming 24/7 and is available via Cable, Satellite and Telco carriage . Dyle is a mobile television service which allows users to view digital broadcast television. It carries channels such as ABC, CBS, FOX, NBC, Qubo, Telemundo, and Univision, as well as some local broadcast channels which are not officially affiliated with Dyle mobile television. Unfortunately, like most television providers, it is not available in all markets . In 2010, ION Media Networks along with 11 other major broadcast television companies developed Dyle through a joint venture known as Mobile Content Venture, or MVC for short . On April 3, 2013 it was announced that Dyle mobile television would be on display at NAB in the Las Vegas Convention Center . In January of 2012, ION Media Networks alongside PMC announced ENTV as a new business partner, which launched a premium YouTube Channel to distribute entertainment news. ENTV provides YouTube viewers with breaking stories in the entertainment world directly from reliable sources such as Deadline.com, HollywoodLife.com, and TVLine.com . In October of 2012, ION announced a long-term partnership for ION Television’s to be carried on DIRECTTV nationwide. The agreement ensures that ION Television will be available to DIRECTTV subscribers for years to come, and now in high-definition as well . On March 4 of 2013, ION Television excitedly announced the launch of a multi-tiered business-to-business campaign. The campaign targeted at advertisers introduces IONTHUSIASTS, a digital representation of ION Television’s viewers. Alongside this announcement was the news that ION Television had a new logo and graphics package .